Once upon a time, there was a California company that produced a radically designed and rather beautiful device that transformed the way people dealt with technology. Over the years, this particular product gained a cult following that took on an almost religious fervour. You might be forgiven for thinking that this company was Apple, but it wasn’t. Instead this company was called Lear Siegler International (LSI), the year was 1976 and the product was the ADM-3A. The ADM-3A was a dumb terminal, similar in concept to the DEC VT52 launched the previous year, and following on from the almost identical looking ADM-3 also from 1975. A simple device comprising pretty much of just a keyboard, screen and communications ports, it would plug into a contemporary computer which could range from a multi million dollar mainframe to a hobbyist microcomputer costing a few hundred dollars. 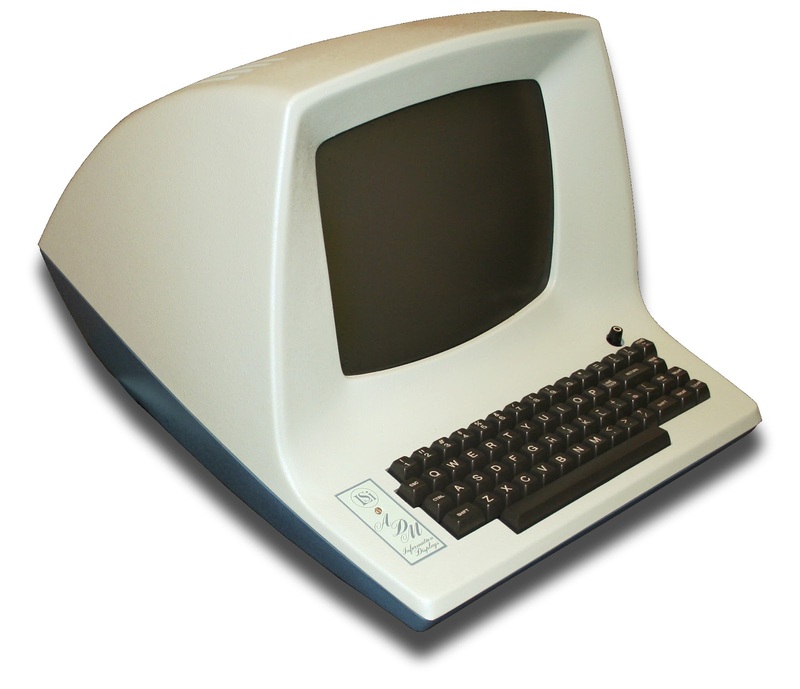 The ADM-3A was much more usable than the ADM-3 though, supporting both upper and lowercase characters and having a cursor-addressable screen (like the VT52), both features the ADM-3 lacked. Two things made the ADM-3A stand out. The first was the relatively low price of $1045.. which although equivalent to about a whopping $5500 today (much more than a top-of-the-range iMac) was actually a fair bit cheaper than the competition. But perhaps the main thing that made it stand out was the design. Most terminals of the time were boxy affairs, but the ADM-3A curved instead. A clamshell design with a hinge in the back, the ADM-3A’s lines followed the shape of the CRT, swooping down to the base where the mainboard was installed. The curves were echoed almost everywhere, on the front, around the CRT and on the base. In fact, the only real appearance of straight lines was at the front where the keyboard was. Lear Siegler could also produce the ADM-3A in different colours, which was a simple process of changing the plastics used in the moulding. But hang on... curves, different colours... doesn’t that sound a bit like the original Apple iMac G3? There are certainly some interesting parallels there. The price of the ADM-3A steadily dropped, hitting just $595 in 1981 (equivalent to about $2000 today), shipping 150,000 by that point. 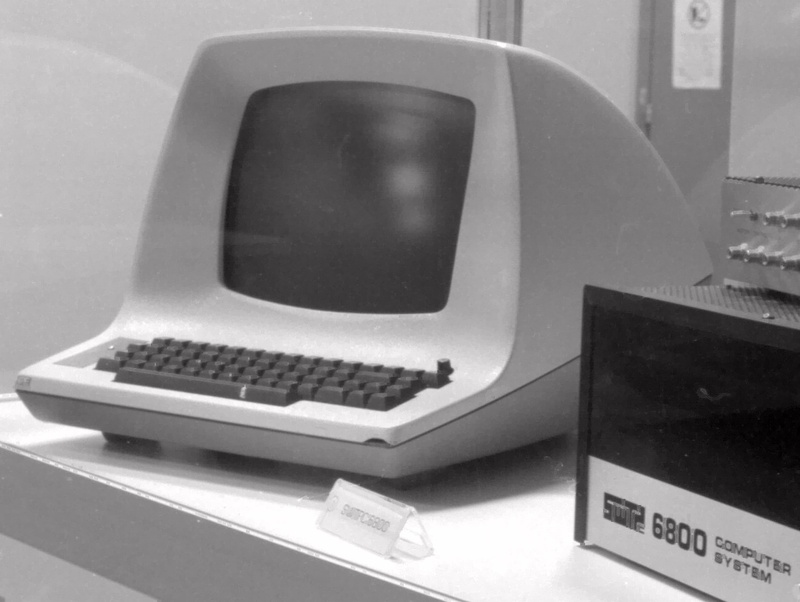 Those were huge numbers of the time, and ADM-3As could be found hooked up to mainframes, Unix systems and even rudimentary home computers. Helping to introduce computing to the masses? That does sound a bit like another California corporation, doesn’t it? Now, you might be wondering about the “Lear” name in the company. Lear Siegler was founded by the merger of two companies, one of which was Lear Avionics founded by William “Bill” Lear*. Lear later went on to build executive jets that still bear the “LearJet” name today, although he sold his interest in Lear Siegler in 1962. LSI still exists today, although simply called the Lear Corporation, and it employees 136,000 people… which is more than Apple does. But there’s another parallel between Lear Siegler and Apple – the ADM-3A was launched at the same time as the original Apple I, Apple’s first commercial product. Coincidentally, the Zilog Z80 microprocessor was also announced in July 1976. All-in-all, it was a pretty good month for landmark technologies. You can still buy a used ADM-3A today, although most of the available ones seem to be in the US with prices at typically $400 to $500. And in case you don’t know what you would do with one, one particular mad genius interfaced one with a Raspberry Pi. Oh yes... as for cult there was a Usenet newsgroup called alt.religion.adm3a in the 80s and 90s, presumably created for followers of the One True Terminal. * Lear invented the first car radio for Motorola, created the 8-track tape and pioneered business jets plus a whole lot of other stuff. He was a very clever guy. Eventually the LearJet corporation ended up as part of the giant Bombardier group, but the Lear name still lives on in the Lear Corporation which has a history of the company here.